If you are in Pinellas County, Florida and need to junk an old, wrecked, unwanted car, truck, SUV, RV, boat or other vehicle, just call on Cash for Junk Cars Clearwater FL. We will pay cash for just about any type or condition of vehicles and offer FREE TOWING when you accept our offer. 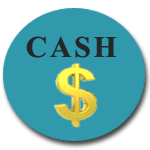 Cash for Junk Cars Clearwater FL is an honest, family run Clearwater, Florida Car Salvage Company who takes pride in working with our customers. We know that having an old, unwanted vehicle can be frustrating. But having an old car can also be expensive to keep. 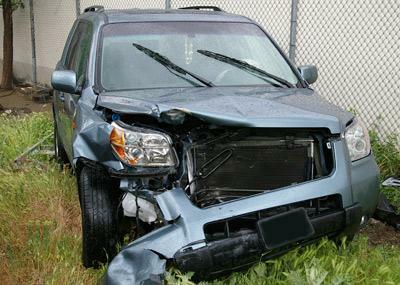 Often times salvage companies don’t want to offer what you think your car is worth plus they add towing fees. –You ask “AND” they charge to tow your vehicle? Yes, some sure do. Cash for Junk Cars Clearwater Florida offers FREE vehicle towing when we remove your old, unwanted vehicle while paying you cash for your vehicles. We Make Junk Car Removal Services in Pinellas County Easy! Not only do we not care what year, make or model your vehicle is but we also don’t care where it is. Cash for Junk Cars Clearwater Florida is a professional Florida junk car business who can remove your car in Pinellas county and throughout the state of Florida. We are an honest, professional company, and our car removal service is fast, friendly and understands you deserve the best deal for your old junk car! Call us today for a quote over the phone or simply text a photo of your vehicle to us and get money for your junk car within hours. When we pick up your car, truck, boat or other vehicle, we will pay you cash on the spot! Want to learn more about how we work when you search Junk My Car in Clearwater or other Pinellas County, Florida location? Well, we make it easy to get cash for your car anywhere in Pinellas County! Simply Text a Photo of Your Vehicle that needs to be removed or call us with your vehicle information. Let us know if your car is working, dead, wrecked or has no title. We will text you back with an offer or we’ll ask for more details. If we make you an offer, it will include FREE TOWING. TEXT: 727-776-6376 and JUNK YOUR UNWANTED VEHICLE! JUNK YOUR CAR , BOAT, TRUCK, SUV, RV OR OTHER VEHICLE. UNWANTED, OLD, ABANDONED, BURNED OUT, WRECKED, GOOD CONDITION OR BAD, KEYS OR NO KEYS, TITLE OR NO TITLE.